Google Team Drives can be migrated as part of your entire migration plan or as an independent project, depending on your business needs. You can choose to migrate each Team drives to an Office 365 group. By default, the Cloudiway platform migrates a Team drives to an Office 365 group. An Office 365 group is used to communicate, collaborate, and schedule events from within a user’s inbox, in an area dedicated to groups. You can override the default on a per-group basis with the Cloudiway group migration platform. As a result, you can achieve total flexibility during a Google Team Drives migration to Office 365. 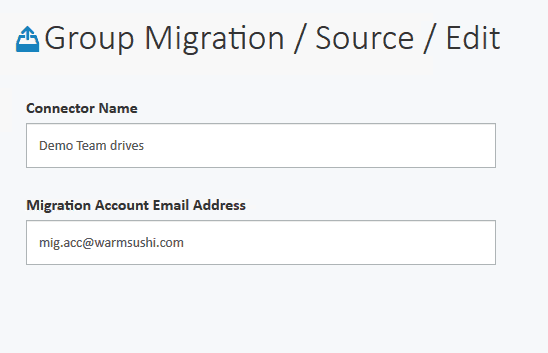 You set up a migration account and tell the Cloudiway platform where to find your groups. Cloudiway retrieves a list of Team drives that the migration account has access to. You choose which Team drives to migrate and their target and activate migration. 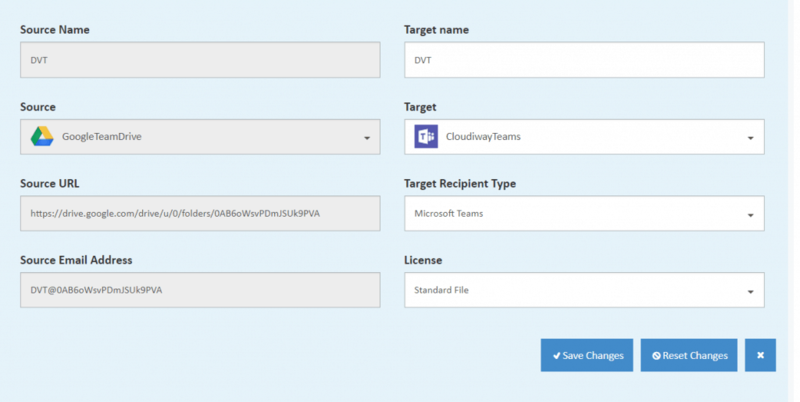 Cloudiway creates the target object (Office 365 group). We take your privacy and security seriously at Cloudiway, and we have invested significant effort into making our platform and your data secure. The speed of migration will only be limited by internet speed and the transfer protocol (HTTP). External Shared links. Currently not available in Google Team Drives. To perform the migration, you will need to create a migration account, give access to your Drive API for the Cloudiway Service Account in G Suite and a new Office 365 Admin in the target tenant, and manually give it full permission to each source Team drives that you wish to migrate. It’s therefore important that you notice that any Team drives cannot be migrated unless this new user is granted full access on Team drives. Office 365 account with global admin rights Account with admin role that bypasses SSO and is able to authenticate using username/password credentials, preferably with the format: user@tenant.onmicrosoft.com. Used for migration of permissions only. We recommend you create an account with admin access especially for migration. After all migrations are complete, simply delete this admin account. G Suite migration account You need to create account (or use an existing one) for the migration. You will need to grants full access (for this account) on each Team drives you want to migrate. We recommend you create a migration account especially for migration. After all migrations are complete, simply delete this account. We provide steps below to help you set up an account if you don’t already have one. 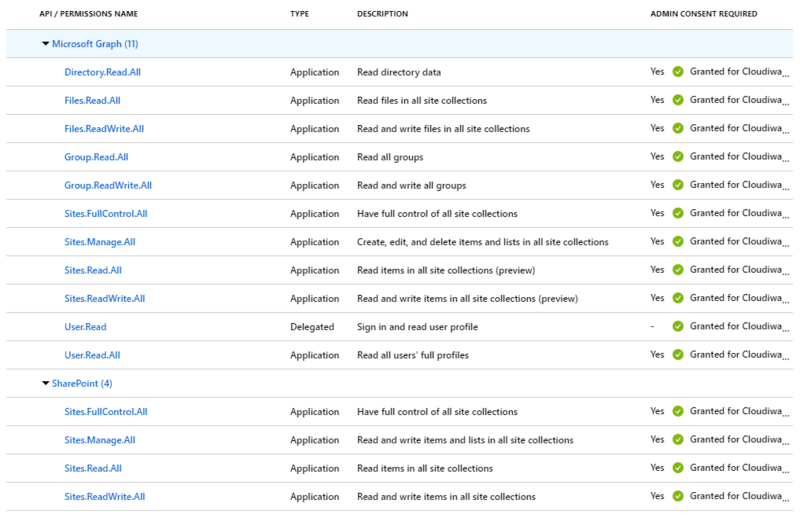 Ensure the source and target migration accounts have admin access to all site collections. 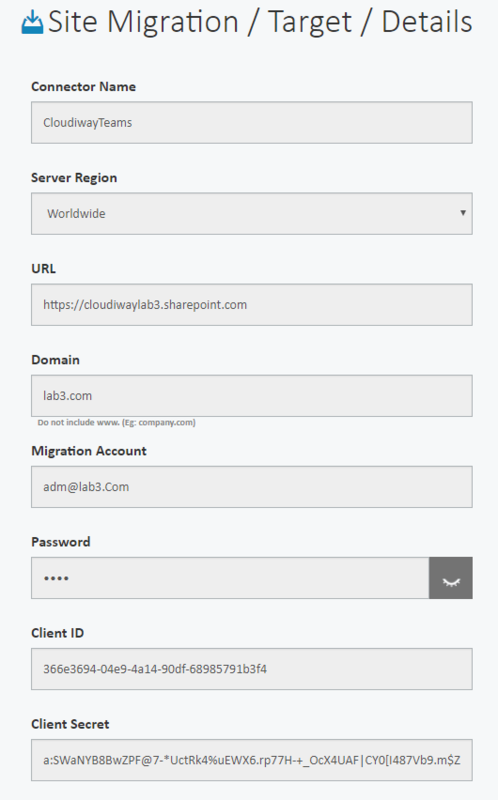 If you let the platform create the site collection, the migration account must be SharePoint administrator. Full access on every Team Drives you want to migrate. By default Tenant administrators have access to all Team Drives. You can check that the scopes were successfully registered by looking for the names next to the client ID you paste. Now, navigate to Security > API Reference > API Access and ensure that ‘Enable API Access’ is checked. Our Group Migration product come with a pre-processing task, that is able to create the Office 365 groups and teams in your target tenant. To achieve that, migration uses a mix of Graph Apis and CSOM calls. Graph APIS require application permissions on groups, users and sites. For Cloudiway to migrate your Team drives, it needs to be able to communicate with both your source and target domains. To do this, Cloudiway uses connectors, which are configured on apps.cloudiway.com. You will need to set up a connector for each source tenant you wish to migrate and each target tenant. 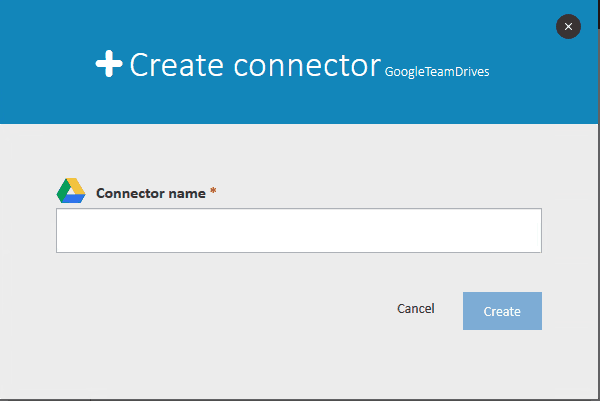 Follow the steps below to configure a Google Team Drive source connector. Click on Group Migration in apps.cloudiway.com site, and then click on Sources. Click on the + New option at the bottom of the screen and click on Office 365. Type a meaningful name in Connector name and click on the Create button. Enter the email of the account used to access the Team Drives. If you enter a tenant administrator email address, it will access by default all the team drives. If not, you have to give the migration account the permissions to all team drives you want to migrate. Clik on the Save button at the bottom of the screen. 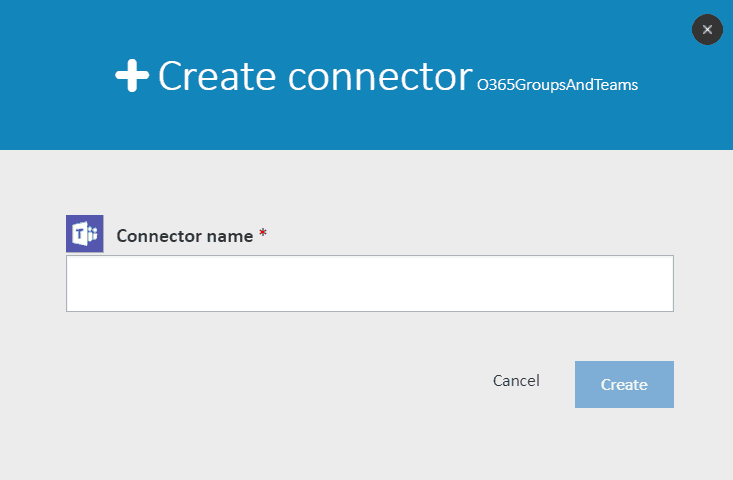 With the source connector now configured on the Cloudiway platform, it’s time to create and configure the target connector. Follow the steps below to configure an Office 365 target connector. From the Site & Group Migration , click on Targets. Click on the + New option at the bottom of the screen and click on Office Group / Team. Filling this field automatically fills the URL field. Client ID / Client Secret: Graph API client ID and secrets with permissions to access, groups, users and sites. The Cloudiway platform provides a tool called Get Groups / Teams which returns a list of all your Team drives that have in your source tenant. Ensure you’re still in the Group Migration area of apps.cloudiway.com and go to Group List. Select your source from the dropdown list and click on the Get button.The tool will return a list of all team drives that the ‘migration’ user has been added to with full access. The list will appear in the Group List area of the Cloudiway platform. From this list, you can check what is due to be migrated prior to migration, edit target name and delete any team drives that don’t need to be migrated. You can also download the results in CSV format for your own records or to make editing changes, and then upload the updated CSV file to the Cloudiway platform as your final list of team drives to be migrated. Note: you cannot add new entries to the CSV file: they must exist on the Cloudiway platform already. 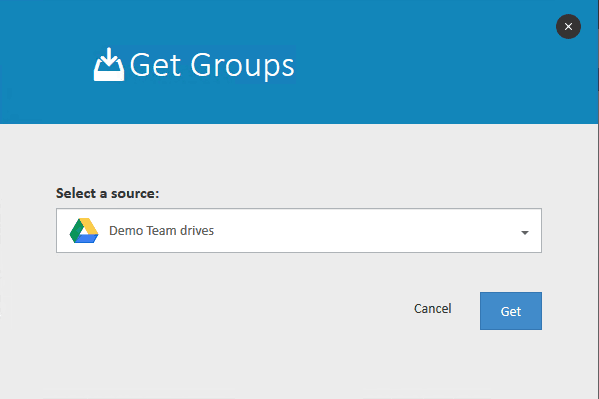 If you need to add a new team drive, either re-run the Get Groups /Teams command (which will add newly-available Team drives to the existing list) or add a team drive manually using the steps below. You can manually add the details of a Team drive to your list on the Cloudiway platform. Due to the lengthy URLs, we recommend you only use this option if it’s impossible to rerun the Get Groups / Teams command. You might wish to test migration on a test Team drive you’ve set up especially for that purpose. In this case, adding the Team drive manually might be preferable to using Get Groups. 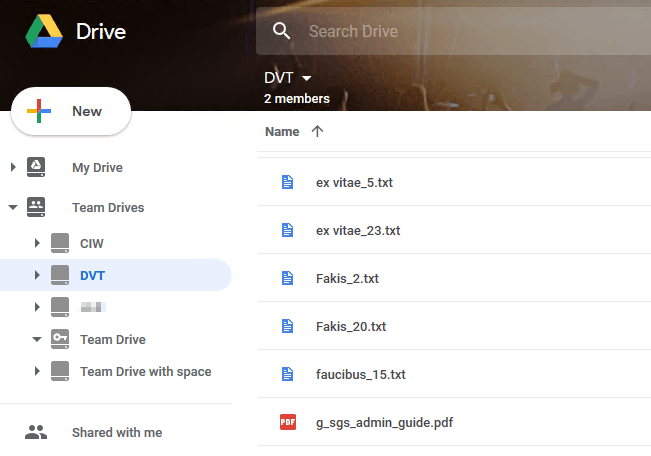 Go to your Google Drive and Develop the Team Drives section. Search for your team drive and open it. 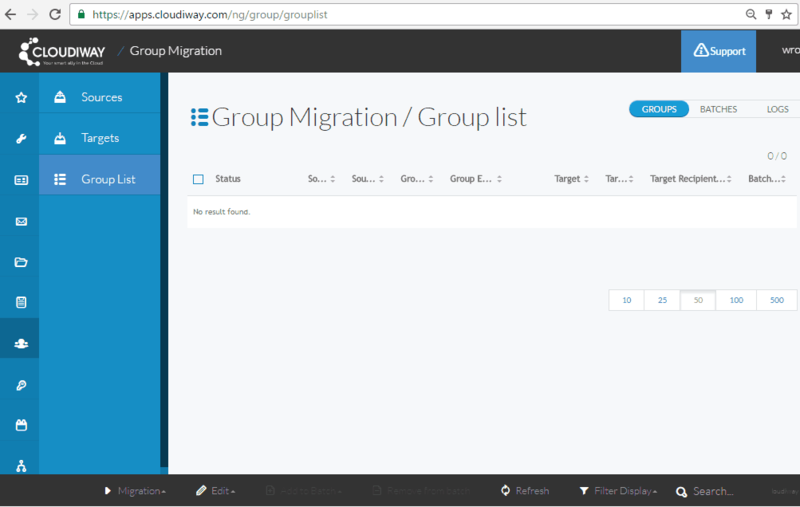 On the Cloudiway platform, go to the Group List of the Group Migration menu. Fill in all details for the Team drive to be migrated, using the email address and URL from the Team drive details in step 3. The new team drive will be added to the Group Migration / Group List screen. Repeat steps 1 to 7 for any more Team drives you’d like to add manually. In order to migrate access rights for the list of users who have acces to your Team Drives, a mapping table of users must be defined. A list of users is used as a mapping table as it defines who has access to the different Team Drives. If you have already migrated mail via Cloudiway, your users will already be available on the Mapping Users menu of Cloudiway’s group migration. If not, you can upload a user list via CSV, or manually add each user on the Cloudiway platform. You can add a user to the mapping table without assigning a migration license. Each user will, however, need to be assigned a license type — Standard or No License (used for adding users to your mapping table regardless of migration plans). A sample CSV file is available for download during the steps outlined below. If you perform more than one upload, any user data already uploaded will not be overwritten by following uploads. Therefore, duplicates can occur. Ensure you’re still in the Group Migration area of apps.cloudiway.com and go to Mapping Users. 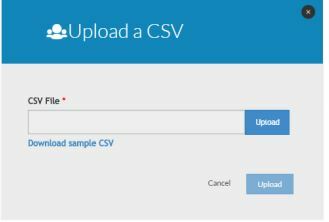 Click on User on the action bar and select Upload CSV. If required, click on Download sample CSV and add your users to the CSV file using the sample headers (FirstName;LastName;SourceEmail;TargetEmail). Check your email for confirmation that all uploads have been completed: you can also refresh the Cloudiway platform to display your imported users. If you wish to edit any user that’s been uploaded, click on the user from the user list to display the editable list of fields. Many of our first-time customers create a single user for testing purposes. This provides a means of watching the migration process without affecting all users. Single users can also be created for migrations affecting just a few users. Go to the Mapping Tables area of the Group Migration menu. The Pre-Processing task will help you to prepare the target recipient before you start your migration. Migrate the membership (owners and members). 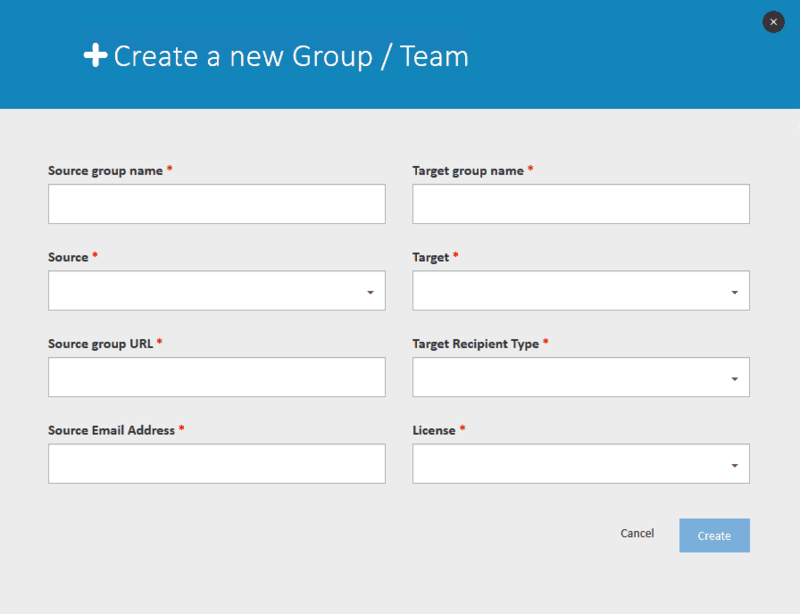 Create the Group or Team: it will use the name you have defined in the field Target name as name and alias. The Email will build by using the alias and the technical domain name of your tenant. Read the permissions from the source Team drives. ERROR-PreProcessing: The task encounters an issue. Review the logs for this Team drive. NOT STARTED: The task is successful. You can start the migration for this Team drive. Now that you have performed all the pre-migration steps within your tenants and within Cloudiway, you’re ready to migrate. We recommend you run a test migration on a single Team drive first to check that your configuration produces the outcome you expect. 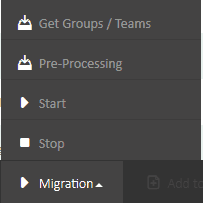 To start your migration, select the Team Drive(s) or batch you wish to migrate and click on the Start button on the Migration menu at the bottom. Your batch will be scheduled and will begin as soon as resources are available. By default, a hundred migrations can be run concurrently.